As a result, most of us try to write too carefully. We try to do it “right.” We try to sound smart. We try, period. Writing goes much better when we don’t work at it so much. When we give ourselves permission to just hang out on the page. For me, writing is like a good pair of pajamas—comfortable. In our culture, writing is more often costumed up in a military outfit. We want our sentences to march in neat little rows, like well-behaved boarding-school children. Not writing is the lonely thing. Not writing creates self-obsession. Self-obsession blocks connection with others. Self-obsession blocks connection with the self Writing is like looking at an inner compass. We check in and we get our bearings. Ah-ha! I am feeling, thinking. remembering. . . . When we know accurately what it is that we are doing, we tend to be more open, accurate, and affectionate in our dealings: I can miss David, but I can’t blame David anymore. I am the one who didn’t write enough yesterday. People who write out of “discipline” are taking a substantial risk. They are setting up a situation against which they may one day strongly rebel. Writing from discipline invites extremism: “I have to do this or I’m a failure.” Writing from discipline creates a potential for emotional blackmail: “If I don’t write I’ve got no character.” People who write from discipline also take the risk of trying to write from the least open and imaginative part of themselves, the part of them that punches a time clock instead of taking flights of fancy. “Commitment” is a word I prefer to the word “discipline.” It is more proactive, more heart-centered, and ultimately more festive and productive. This is not mere semantics. If we are to be involved with writing for the long haul, we want to be comfortable in relationship to it. If we are relating to our writing as a “should” instead of as a desired good, we run the jeopardy of experiencing our writing connection like a thankless marriage: we’re there, but we don’t want to be. We’re thinking of what we’re missing. We are all works in progress. We are all rough drafts. None of us is finished, final, “done.” How much healthier and happier if we ignore that mafioso’s advice to me and we put “it”—all of “it”—in writing: the flaws, foibles, frills, fantasies, and frailties that make us human. When we connect these dots, we connect. I like writing to be more portable and flexible. I like writing to be something that fits into cracks and crannies. I don’t like it to dominate my life. I like it to fill my life. There is a big difference. When writing dominates a life, relationships suffer—and, not coincidentally, so does the writing. When writing is about being shut off” from the world in a room sequestered with our own important thoughts, we lose the flow of life, the flow of new ideas and input that can shape. improve, and inform that thought. It is a matter of balance. Yes, we need time and space to write, but we do not perhaps need as much time and as much space as we might think. Rather than being a private affair cordoned off” from life as the rest of the world lives it, writing might profitably be seen as an activity best embedded in life, not divorced from it—of course such a view of writing smacks of heresy. The root of the word “integration” is the smaller word “integer,” which means “whole.” Too often, racing through life, we become the “hole,” not the “whole.” We become an unexamined maw into which our encounters and experiences rush unassimilated, leaving us both full and unsatisfied because nothing has been digested and taken in. In order to “integrate” our experiences, we must take them into account against the broader canvas of our life. We must slow down and recognize when currents of change, like movements in a symphony, are moving through us. 1. Write daily, even if only Morning Pages. 2. Use tools like Media Deprivation and Blasting Through Blocks to give you a jump-start 3. Watch your telephone consumption. 4. Watch your note production. 5. Set a clock for one half hour’s writing time. Pray for the willingness to write—and then write. “Thou art truly human.” To be truly human, we all have the right to make art. We all have the right to write. A highly recommended read in the areas of communication and writing. • Have a flexible work environment where they can work anytime and anywhere. • Be able to shape and define their own career paths instead of having them predefined for them. • Share information internally in an open and transparent way in real-time. • Have the opportunity to become leaders without having to be managers. • Collaborate and communicate in new ways. • Shift from being knowledge workers to learning workers. • Learn and teach at-will. The world is changing so quickly that by the time new college students graduate, much of what they have learned is far less relevant and in many cases just obsolete. This means knowledge and experience are no longer the primary commodity. Instead, what is far more valuable is to have the ability to learn and to apply those learnings into new and unique scenarios. It’s no longer about what you know, it’s about how you can learn and adapt. Must be a leader. Follow from the front. Understand technology. Lead by example. Embrace vulnerability. Believe in sharing and collective intelligence. Challenge convention and be a fire starter. Practice real-time recognition and feedback. Be conscious of personal boundaries. Adapt to the future employee. An article published by Susan H. Greenberg on the Stanford Graduate School of Businessblog on August 1, 2012 called, “Building Organizations That Work”2 summarized the findings of the report: Hierarchies are easier for people to grasp than egalitarian relationships because their asymmetries create “end points’ that facilitate memorization; they are predictable; and they are familiar, beginning with our very first social interaction—the parent-child relationship. • Have employees work in globally distributed yet smaller teams. • Become intrapreneurial. • Create a connected workforce. • Operate like a smaller company. • Focus on creating a place of “want” instead of a place of “need.’ • Adapt to change faster. • Innovate anywhere, all the time. • Build ecosystems. • Run in the cloud. • See more women in senior management roles. • Be “flatter.’ • Tell stories. • Democratize learning. • Shift from profit to prosperity. • Adapt to the future employee and the future manager. • Become globally distributed with smaller teams. The extent of knowledge and innovation used to depend on the organization itself, or more specifically, a few people within the organization. This is no longer enough to maintain a competitive advantage. The future organization must build knowledge ecosystems in the five groups mentioned earlier in order to thrive. Each group can bring a unique perspective and value proposition. 1. Focus on individual value before corporate value. 2. Strategy always comes before technology. 3. Learn to get out of the way. 4. Lead by example. 5. Listen to the voice of the employee. 6. Integrate into the flow of work. 7. Create a supportive environment. 8. Measure what matters. 9. Be persistent. 10. Adapt and evolve. 11. Understand that employee collaboration also benefits the customer. 12. Accept that collaboration makes the world a better place. 1. Challenge assumptions. 2. Create a team to help lead the effort. 3. Define your “future of work.’ 4. Communicate your “future of work. 5. Experiment and empower employees to take action. 6. Implement broad-based change. A recommended read in the area of organizational management. I just finished reading Confessions of a Public Speaker by Scott Berkun. This book was recommended to me by one of my mentors. 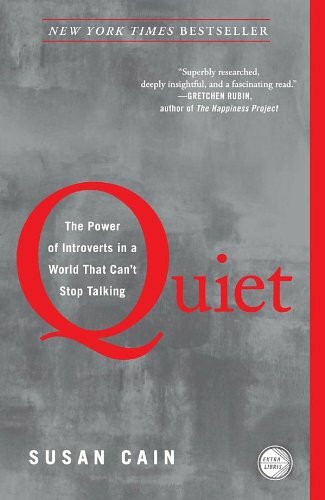 I recently finished reading Quiet – The Power of Introverts in a World That Can’t Stop Talking by Susan Cain. This book was referenced by one of my colleagues during a recent Toastmaster’s speech, which sparked my interest in reading it. 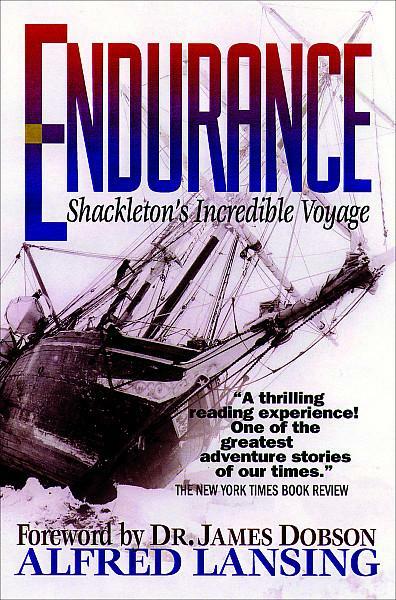 I recently read the book “The Endurance: Shackleton’s Incredible Voyage” by Alfred Lansing. While the story of the adventure itself is fascinating and highly recommended, the book is also filled with leadership lessons. These attributes were as much applicable then, during this epic adventure, as they are now for any current or aspiring leader. What sets this book apart is that the lessons are left to the readers to extract and interpret, while captured in a thrilling story. If you are interested in learning more about this heroic journey, please see the wiki page: , read the book and/or watch the movie . 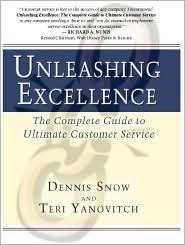 I recently finished reading Unleashing Excellence – The Complete Guide to Ultimate Customer Service by Dennis Snow and Teri Yanovitch. “1) Create the Service Improvement Team(…) Action Steps: a) Try to select 8 to 12 members at the most. b) Ensure that the team represents a cross-section of the organization c) Have as many senior level members as possible on the first Service Improvement Team. Members need to have the authority to get things done. d) Draft the team charter. 2) Develop the organization’s Service Philosophy and Service Standards(…) The service Philosophy answers two questions: what we do? how we do it?…Guidelines for Developing your service standards: Each standard on the final list should be unique from every other standard…Each standard should be actionable…The standards must focus on customer service. 3) Develop and execute on ongoing service Communication and Awareness plan(…) Communication during the awareness stage – what employees need: information…Communication during the awkwardness stage – what employees need: reassurance…Communication during the assimilation stage – what employees need: what’s new about the service effort. 4) Create and execute a plan for ongoing service Training and Education(…) Training for the frontline employees should: 1) Ensure consistent understanding of the service improvement process. 2) Share best practices regarding service excellence. 3) Develop personal action plans for service excellence. 4) Communicate next steps. 5) Adapt the Interviewing and Selecting processes to include all elements of the service culture(…) Action Steps: a) Observe and interview your best employees in order to uncover their service talents. b) Enlist your service superstars in your recruiting efforts. c) Track how the best employees were recruited to your company. d) Model your company’s values during the interview process. 6) Create and implement a service Measurement process(…) Keys to local measurement success: a) Local measurements should be linked to the overall service improvement effort…b)The workgroup should be able to impact the factors they measure…c) The act of measuring shouldn’t negatively impact the customer experience…d) Improvement in one service factor shouldn’t negatively impact another service factor. 8) Implement a Service Obstacle System for identifying and addressing barriers to service excellence(…) One of the most important jobs of a leader in a service improvement initiative is to help remove obstacles that keep employees from giving great service.